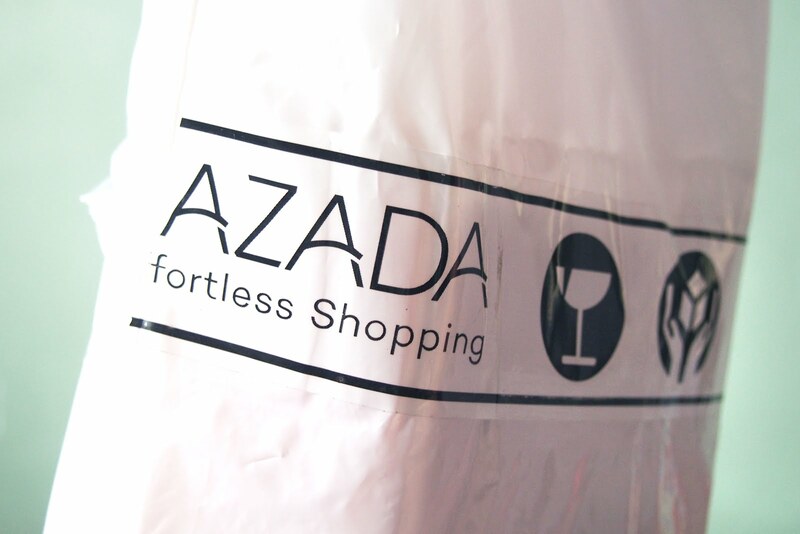 I ordered two items from Lazada and would like to share my personal shopping experience. This isn’t my first time to shop online but it’s my first with Lazada. 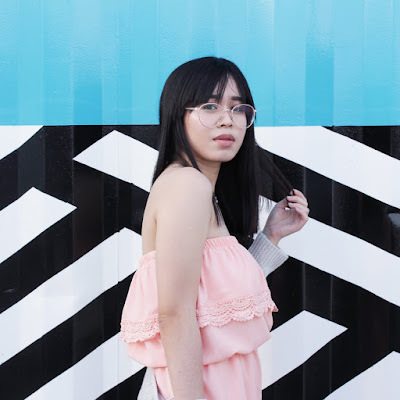 I’ve started shopping online 2 years ago, so you can call me an ‘online shopping expert’ (haha) if there’s even anything like that (i guess it’s more of an online shopping addict! lol). I should’ve shared my experience long ago. I shop online a lot, from Instagram/Facebook sellers, online stores, etc. but I …. uhm.. just didn’t have the time and motivation, and time and motivation. Yes I said that twice… -.- I was just not serious with blogging at that time (so am I serious now? haha) _BUT, _hey, I finally have one. Well, I don’t know how to start. (croo croo~) … Maybe, I’ll go on ahead and share Lazada’s package that came in yesterday. Oh! And here’s the ‘LA’ … Hahaha So corny, lol…. Lazada’s courier is LEX - Lazada Express. Now you should see the products I ordered. Here’s my shopping cart. You’ll know what I bought. After clicking ‘proceed to checkout’ button I had to fill out necessary information (Shipping Information & Payment - btw, I used my SmartMoney Card). That’s how it usually goes. Nail dryer’s date of arrival is Aprill 11-12 as posted by Lazada. 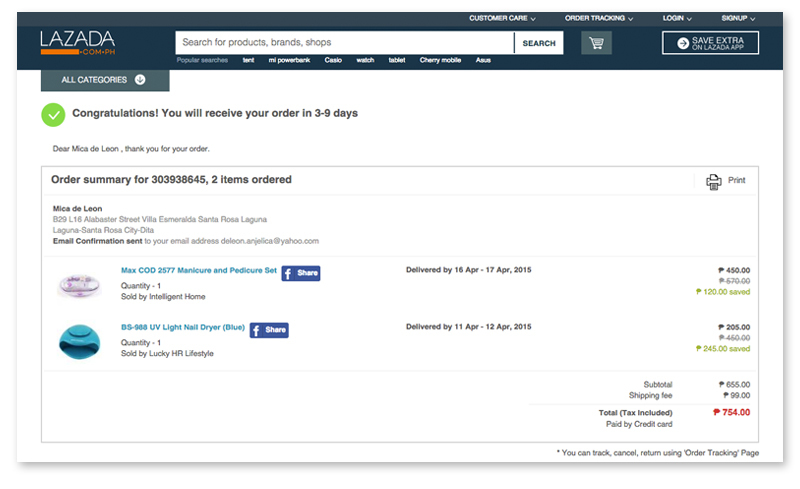 I ordered these products last Wednesday, April 8. Surprisingly, the next morning while I was still asleep the package (UV Nail Dryer) arrived already, it was a holiday even so I really wasn’t expecting any deliveries (and a cut on my beauty sleep T_T Haha ). Clap clap clap for a ‘FLASH’ delivery. The acknowledgement receipt and return form in case there are problems with the product. 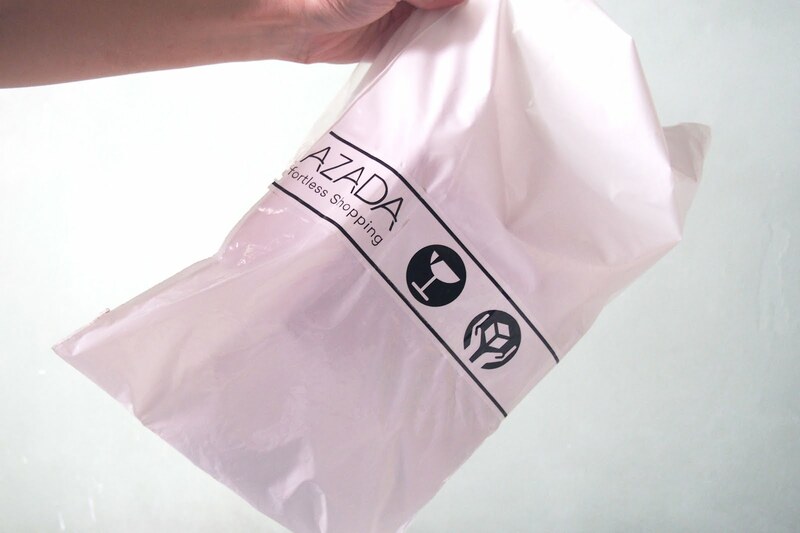 The time allotted by Lazada to return the package is 7 days after receipt of the package. 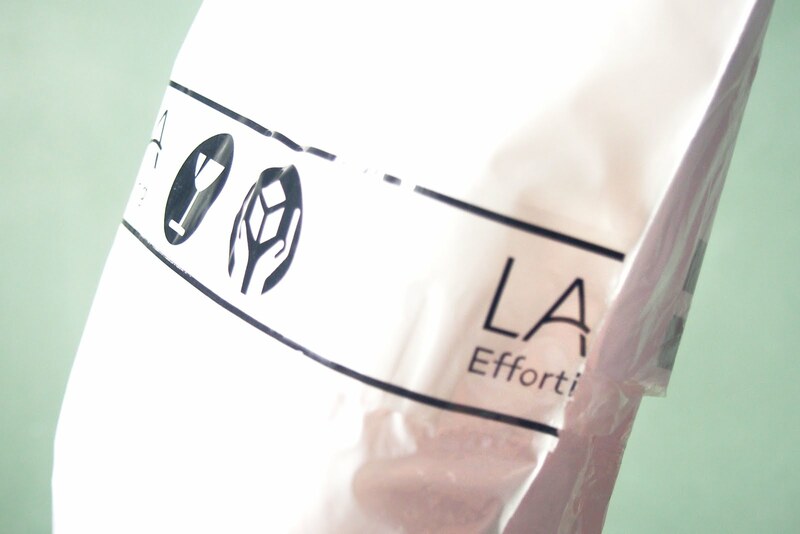 The return form must be filled up and sent together with the package through LBC. Here is the actual item. I liked it! So no returns from me :) Happy buyer here today. I’ll be doing a separate review post for the nail dryer as well as the mani and pedi set that I’m still waiting to arrive. :) Oh, if you live in Laguna like me, there is a shipping cost of P99. I’ve searched reviews for Lazada over at google to have an idea on how I can write my review and sad to say, found some negative feedback already at the very first page :(. Some of the items in Lazada take to long to arrive or don’t even arrive at all. Although, the posts were from 1-2 years back. I think mostly it’s more of a system or customer service problem. 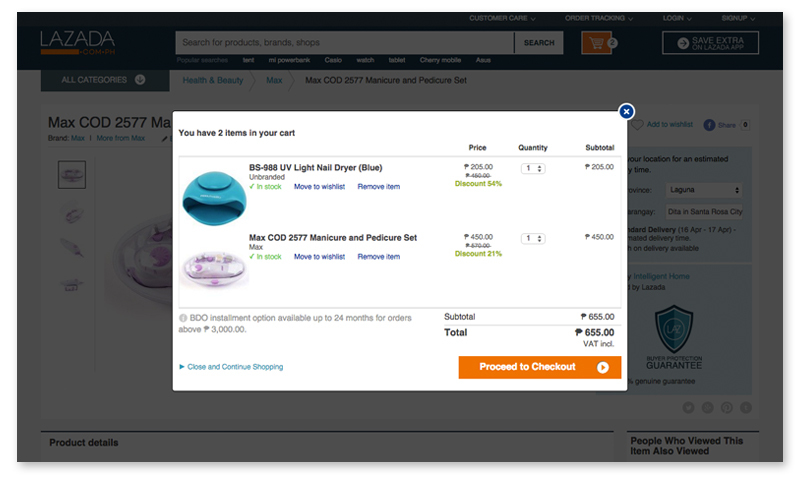 It is recommended to purchase through COD (Cash on Delivery) instead of card payments. Based on several posts I’ve read, the problem with Lazada is the very poor customer service. Lazada’s hotline is not very functional. 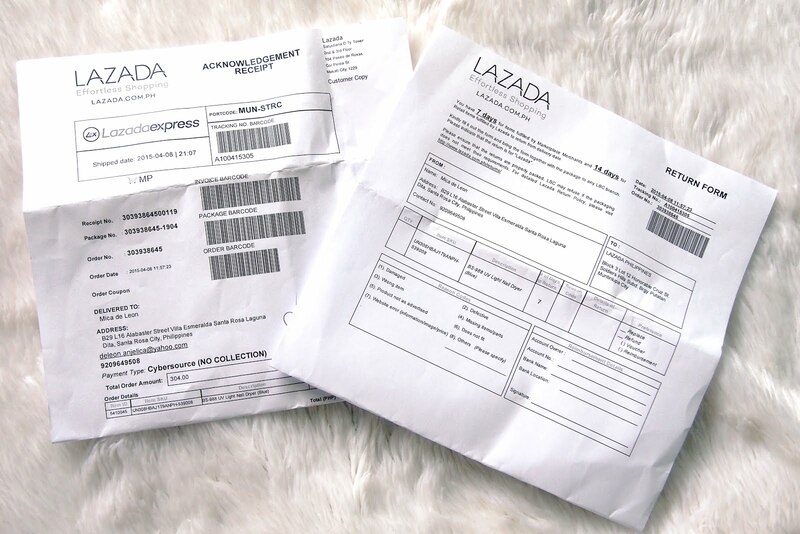 Most complaints of Lazada Philippines is probably the wrong items sent to their customer, lacking items or delayed delivery of items. I hope my Lazada review helped those who want to shop at Lazada. If you’re wondering whether shopping in Lazada Philippines is safe? For me it was… I had a smooth and worry-free transaction with Lazada :). I guess, it’s usually a hit and miss when it comes to purchasing goods online.